So cute! 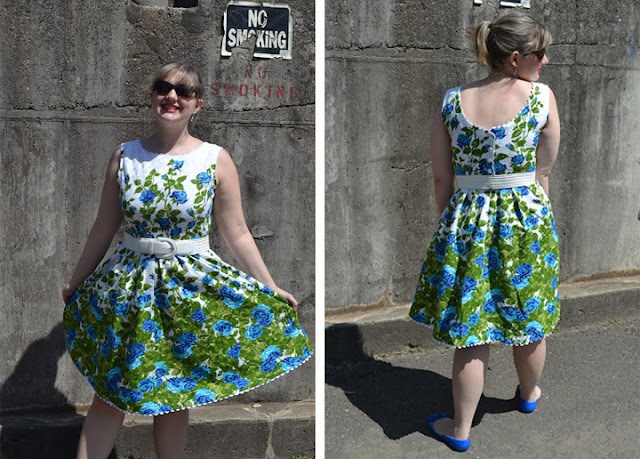 I love the details: the rickrack trim used as piping and along the hem, the button back. And she did a great job with the pattern placement! 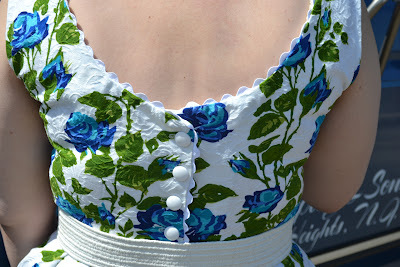 I love the way the roses climb up each strap in the back, and there is a bib-like effect in the front. She'll be happy to look back at these pictures in her wedding album! 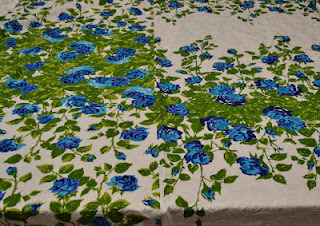 The fabric is beautiful too. I love the combination of printed and embossed flowers. I just found the Fabricmart blog, I can't believe I never noticed it before. Fabulous projects and fun content. Keep it up!